Location and terrain gave Long Island a major role in defending the U.S. for 200+ years. Long Island provided sites for seaward defense, while its flat, grassy plain was ideal for airfields, fortifications, encampments, and defense factories. 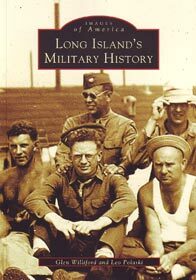 From the Battle of Long Island in 1776 through the Cold War, this fascinating visual history tells of Roosevelt Field and Plum Island, whose military uses have been forgotten; Camp Wikoff and Hazelhurst Field, short-lived military sites; and Grumman and Republic, names once associated with combat aircraft.